The power washer can be referred to as pressure washer by some people. Whichever term you use, they all stand for a type of equipment. Washers are important equipments as they are used for washing various items and gadgets ranging from domestic to industrial types. There are specific types of washers that are designed to be used for specific purposes. This equipment can simply be described as equipment that is used for cleaning a wide range of surfaces using water that is pressurized. It has a pump that is either electrically or gasoline powered that compresses that water to ensure that it comes out in a pressurized stream. The difference with a hosepipe is that the water produced by the washer has pressure that is nearly 100 times that of the hose pipe. Power washers are very different as they offer a solution to a wide range of cleaning applications. First, this equipment comes with varying pressure output. This is important because they allow for different uses. For instance, there is the low-pressure washer, which is mainly preferred for domestic uses and the high-pressure washer for industrial uses. When it comes to fuel, there are also varieties. There is the power washer that uses gasoline to operate, electric washers that use electricity to operate and the hydraulic washers that are mainly used for cleaning specific equipments such as those used in mining. Husky Power Washer: This is among the best brand of power washers available in the market. They are mainly used for domestic purposes and for outdoor cleaning purposes. They have a range of washers that you can choose from the Husky 2000S power washers and the Husky 1600 power washers. The good thing with this brand is that there accessories readily available if in case you want an add-on. 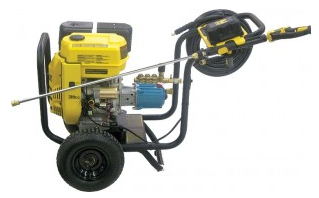 Excell Pressure Washer: They are well known in the market and they come with different pressure output. The most common is the Excell 2500 psi pressure washer. They are good for cleaning hard surfaces. When it comes to price, they are affordable. Karcher Power Washer: This washer comes from one of the largest cleaning equipment manufacturer. They have both the gas and electric-powered power washer. They have both domestic and industrial washers. A Power washer is indeed an essential tool for cleaning and when you are planning to buy a washer, it is important that you look and read the various power washer reviews available to give you a guideline on the washers. Be careful in what you choose and make sure that the one you purchase is really the one you need.